This Blue Grace Glass Precooler is a unique smoking accessory for your bong! It is used as an additional precooler for your smoke, before the latter enters your bong and ends up inside your mouth. So it smooths your smoke and improves your smoking experience on the whole! It is made of a high quality heat proof borosilicate glass, formed in the shape of a scientific tube of 5mm wall thickness, 16cm height and 45mm diameter. 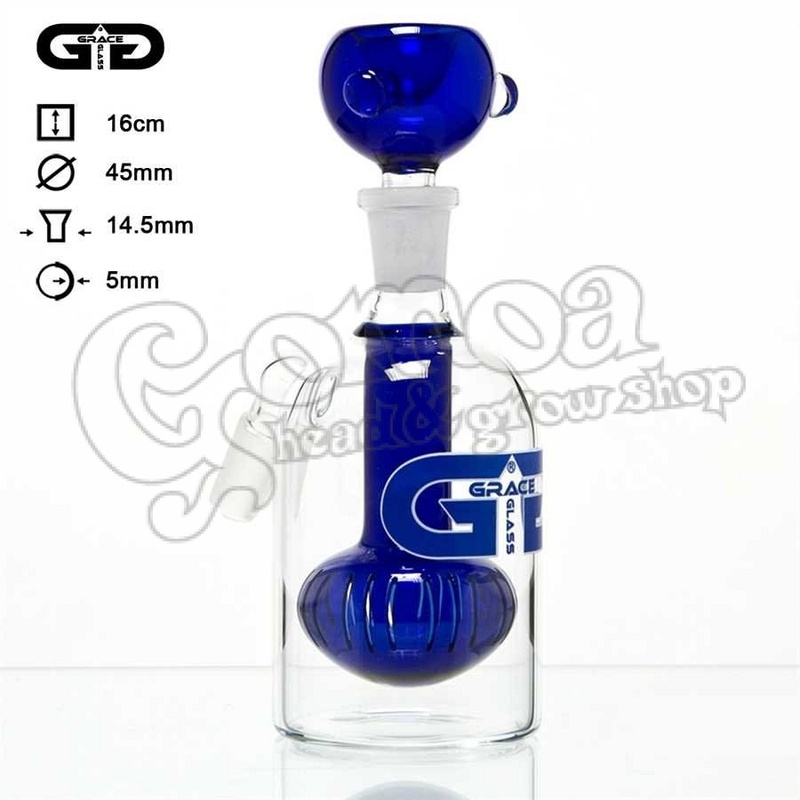 You place your precious herbs or tobacco onto the 3 point blue detachable bowl, which connects to a 1x shower percolator through a sure ground of 14.5mm diameter. The shower percolator bubbles up your smoke, cooling your toke. The blue Grace Glass logo features at the front of the chamber.